Austria said Monday that it would not follow a number of other EU countries in expelling Russian diplomats over the poisoning of a former Russian spy in Britain, stressing its neutrality. "We stand behind the decision to recall the EU ambassador, but we will not take any national measures," Chancellor Sebastian Kurz and Foreign Minister Karin Kneissl said in a joint statement. "Indeed, we want to keep the channels of communication to Russia open," they added. "Austria is a neutral country and sees itself as a bridge-builder between East and West." Fourteen European Union countries are to expel a total of 30 Russian diplomats in a coordinated international response to Moscow over the poisoning of Sergei Skripal in the English city of Salisbury, according to an AFP tally. Germany, France and Poland led the way with four expulsions each and EU President Donald Tusk warned that more diplomats could be thrown out in the coming days. Austria is a member of the European Union but is officially neutral and is not part of the NATO military alliance. 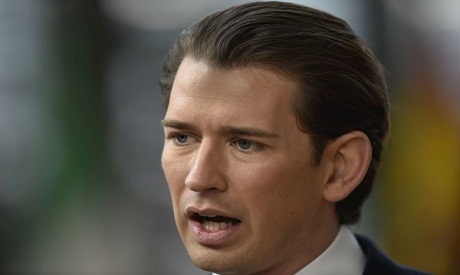 The right-wing Kurz visited Russia in late February and his coalition partners, the far-right Freedom Party (FPOe), have a "cooperation pact" with President Vladimir Putin's United Russia party. Slovakia, while condemning the Skripal poisoning, also said it was not throwing out Russian diplomats at present but will summon the Russian ambassador "without delay". "The development of the situation, as well as Russia's response to the calls addressed to it by the EU countries -- including Slovakia -- will influence the next steps that we are prepared to consider in this case," the Slovakian foreign ministry said.